Reduce traffic speeds to 10mph and separate traffic from non-traffic areas with these highly attractive and cost-effective oval speed-ramps. What is the purpose of the speed-ramps? If you’re using speed ramps as part of your traffic management system, you’ll know just how important it is to use clearly visible warning signs. Ramps should not be used within 15 meters of a junction or corner and are preferably used at intervals along a route. It’s important to remember when installing speed-ramps that emergency vehicles will have to go over them, too, so the ramps cannot be too severe. These speed-ramps from The Workplace Depot can slow traffic down to around 10 miles per hour. 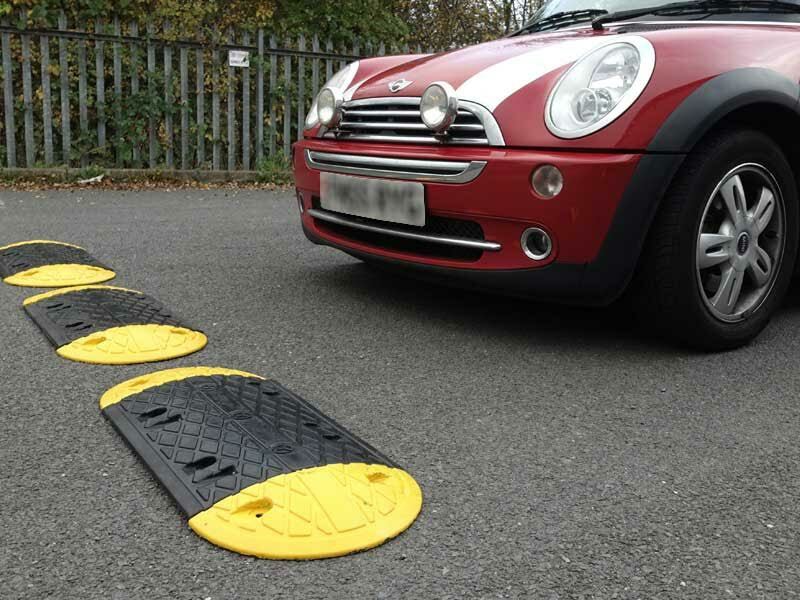 The ramps, sometimes known as a Sleeping policeman, Speed Humps, Car Ramps or Speed Bumps, can be fixed or bolted to the road quickly and easily. Where can speed-ramps be used? Speed-ramps can be used anywhere to slow the flow of traffic, including outside schools, in shopping center car parks, office car lots and on residential streets. Some bumps can also be used as cable protectors. 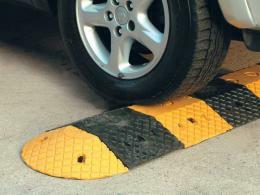 Speed-ramps also come in useful in showrooms and the parking facilities of commercial buildings. Speed-ramps can be used by anyone wanting to calm the flow of traffic. On residential streets the ramps are used to slow traffic down to about 10 miles per hour. Outside busy buildings like schools, hospitals, airports and office blocks, speed-ramps are used to slow traffic and allow for pedestrians to cross the road. Get your speed-ramps from The Workplace Depot today and start reducing traffic speeds to 10mph or separate traffic from non-traffic zones. 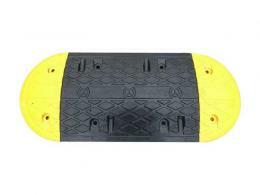 Our speed-ramps are cost effective and attractive and have been designed using heavy duty, repurposed rubber. Installation is fast and easy and the product comes complete with fixing bolts to suit either asphalt/tarmac or concrete – simply state your preference when ordering. 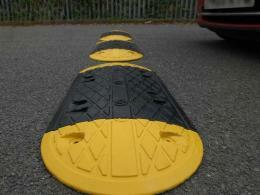 The Speed-ramps have high visibility yellow ends and a black mid-section with cat’s eyes in the middle. Order today and you will receive free next day shipping and a 1 year warranty on parts and labor. When searching for Speed Humps online, we highly recommend searching Speed Humps UK to quickly locate our Speed Humps page.